June 27 is Post-Traumatic Stress Disorder (PTSD) Awareness Day. PTSD is a disorder that can develop as a result of a number of traumatic events: warfare, sexual assaults, car accidents, or other life-threatening events. 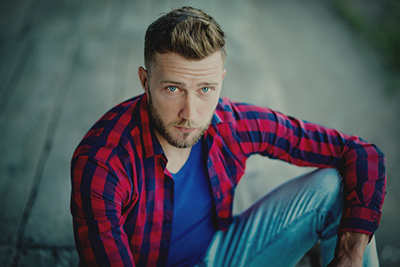 According to the National Institute of Mental Health, current treatment approaches for PTSD consist of psychotherapy, medication, or a combination of the two. However, some military veterans experiencing PTSD have found relief from symptoms through reiki therapy, as detailed in “Reiki and PTSD” in the November/December 2014 issue of Massage & Bodywork magazine. Read the article here. In recognition of PTSD Awareness Day, Prakash Masand, MD, a psychiatrist and founder of the Centers of Psychiatric Excellence, offers 10 tips for persons dealing with PTSD. 1. Set realistic goals for yourself. Post-Traumatic Stress is a disorder that takes lifelong enacted methods for continual healing. There is no overnight fix, and patience is required to address the recovery. The most important aspect is to remember that recovery from PTSD is a process. “Normal” does not exist in recovery because each situation and trigger is different for every patient. Patience is hard to find, but necessary for dedicated improvement. 2. Talk it over. Talking to someone may feel like the last thing you want to do, but it anchors you in a common reality. It can be all too easy to get caught up in your own mental prison of repetitive fears and negative thoughts. Discuss stressors and anxieties to bring them to light. This helps you form healthier patterns of coping behaviors. Talk about your PTSD and triggers to help educate others about the disorder. Find a trusted friend, family member, counselor or community advocate for support in your recovery. 3. Research and become familiar with the topic. Knowledge is power, and the more you know the better you feel. Information is a powerful tool to combat fear. Seek to understand the root problems that cause your PTSD reactions. Research methods to cope and treat the symptoms of the disorder itself. There is a wealth of information on the topic across libraries and the Internet. Utilize sources such as Facebook and YouTube to connect with communities that suffer from similar symptoms. Someone else’s journey may be a pivotal part of your healing. 4. Seek professional help. Counselors and psychiatrists help individuals form healthy coping mechanisms to better their lives. If you don’t want to discuss your situation with loved ones, a third-party mental health professional can lend a new perspective to your recovery. Since they don’t know you personally, they are better inclined to spot something as an irregularity. Keep in mind—sometimes it takes a couple of tries to find someone that works well with you. 5. Integrate new methods in daily life. Professional help grants you new methods to use in your daily life. The techniques and therapies introduced are only helpful if you put them to use. Practice of these techniques throughout your typical routines creates positive patterns of behavior. In turn, you will develop better reactions to the stressors that previously burdened you. 6. Consider medications. Don’t rule out the chemical and biological aids of medication. Medication can often be helpful when therapy isn’t enough. It also can help you get more benefit from PTSD-specific trauma focused therapies like prolonged exposure therapy and EMDR (Eye Movement Desensitization and Reprocessing). 7. Get the word out. A powerful method to cope with any disorder is to become an advocate for it. Participate in the community to help your recovery and the recovery of others. Offer to volunteer with those who need assistance. This can be a professional position at a hospital or rehabilitation facility, or something as simple as just talking with others who are suffering in the early stages. Gauge your comfort to determine your ideal level of engagement. 8. Use self-relaxation as a tool to heal. PTSD is a stress response and anxiety disorder. Your brain struggles to self-regulate calm responses. You must develop methodologies with purposeful effort to relax yourself when you notice a stress response reaction. Conscious muscle relaxation, breathing exercises, medication, massage, and prayer are good places to start. You must remove the stressful stimuli and find a positive remedy such as a quiet place, nature or other calming location that creates peace for you. These techniques must be approached slowly to see what works best for your healing, and in which manner. 9. VA resources: The VA has very helpful patient tools and apps like PTSD Coach, which is free at www.ptsd.va.gov/public/materials/apps/ptsdcoach.asp. 10. Ketamine. For patients who don’t respond to traditional medication and therapy, Ketamine IV infusions may be a good option. Ketamine is a newer treatment for several psychiatric disorders including Posttraumatic Stress Disorder (PTSD). An advantage of ketamine is that the benefits are substantial and are obtained within just one day of treatment. A further advantage is that accompanying depressive symptoms are also improved within a day of receiving ketamine.